Cosy linked townhouse on 3 levels located within the new development of Varandas do Lago close to all ammenities including bars, shops, restaurants, the beach and famous golf courses. Modern three bedroom 2 storey linked townhouse with plunge pool, very conveniently located just opposite the Tennis Center within the famous 5 star luxury resort of Vale do Lobo. Spacious and comfortably furnished single storey 3 bedroom villa with pool. Modern three bedroom detached villa with private pool conveniently situated within the famous resort of Dunas Douradas close to central facilities and within a short distance to the golden sandy beaches and championship golf courses. 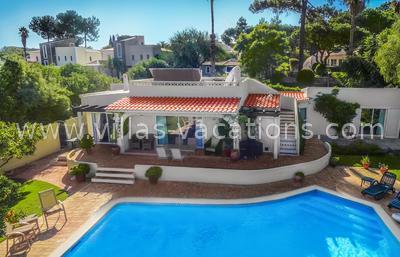 Three bedroom linked villa with plunge pool, conveniently situated near to the Vale do Lobo Tennis Center in a quiet cul-de-sac. 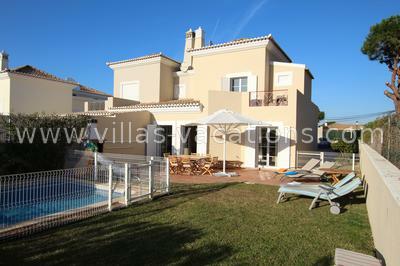 Bright and spacious 3 bedroom detached villa situated in a quiet cul-de-sac located within the 5 star resort of Vale do Lobo. This villa is set on a double plot with pleasant garden, terrace and pool area. Modern 3 bedroom linked townhouse with private pool located in the famous Vale do Lobo resort close to all amenities including bars, shops, bank, restaurants, the golden sandy beach and famous championship golf courses. This spacious 3 bedroom detached villa, beautifully refurbished, is set in approx 1 acre of extensive landscaped gardens and lawns surrounded by fruit trees, fully enclosed with gated driveway. Situated in a rural and tranquil location but only 2 minutes drive to Vale do Lobo, Quinta do Lago, Almancil, golden sandy beaches, famous golf courses and all ammenities. Villa Club and Tennis is only a 2 minute walk away. Detached villa in a quiet & peaceful location adjacent to Vale do Lobo within a short drive away from all local amenities including championship golf courses and golden sandy beaches. 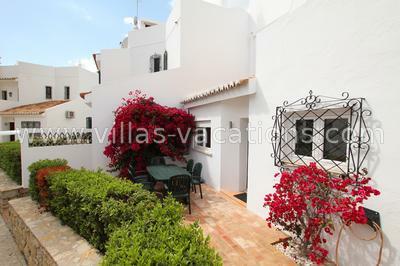 Well furnished 3 bedroom townhouse situated within easy walking distance of the beach and restaurants in Vale do Lobo. Welcoming 3 bedroom linked townhouse house with pool located in the famous popular family resort of Dunas Douradas. 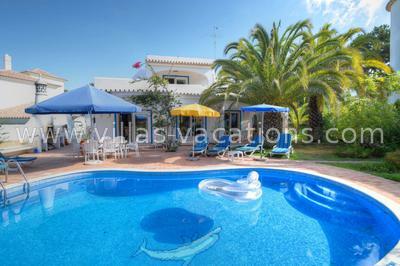 Tastefully furnished 3 bedroom semi detached village house with pool in the popular resort of Dunas Douradas. This welcoming renovated townhouse is a pleasant choice of accommodation for any season. 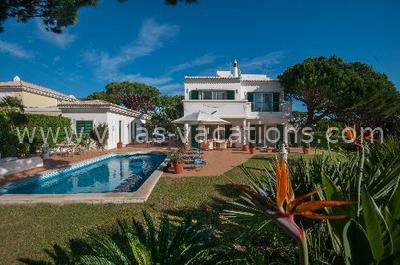 Spacious 3 bedroom detached villa, located in the exclusive area of Fazenda de Santiago, Vale do Lobo. Spacious and comfortably furnished single storey 3 bedroom villa with pool. Situated in a pleasant location in the resort of Valeverde near to Quinta do Lago and within a short walk to shops, bars & restaurants. Three bedroomed village house with fenced garden located in the well known resort of Dunas Douradas. Spacious town house with plunge pool. Located on the famous resort of Dunas Douradas, close to the beach and famous golf courses. Quietly located in 'calçada' walking area. Paved front terrace with potted plants. 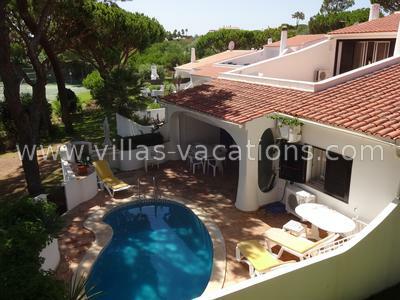 Within easy walking distance of beach and Vale do Lobo Central 'Praça'. Spacious 2 storey Villa conveniently located in the resort of Vale do Garrao just a 10-minute walk through pine trees to Garrão beach. Lovely modern 3 bedroom detached villa situated in a rural area within the outskirts of Almancil, just a short drive to the famous golf courses, beaches, shops, bars and restaurants. 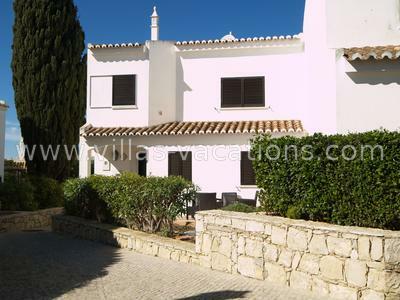 Linked townhouse with fenced plunge pool within the resort of Vale da Quinta situated within a short drive to all ammenities including bars, shops, restaurants, the beach and famous golf courses.